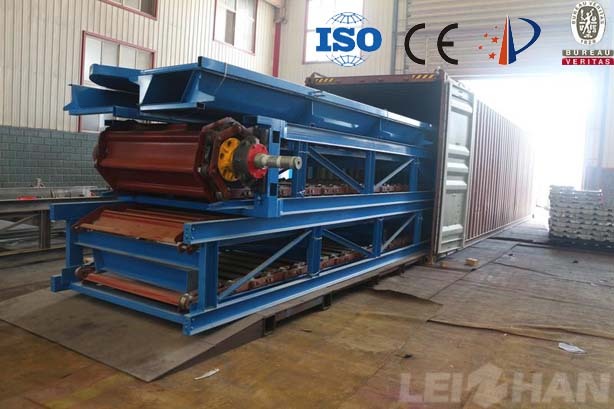 Leizhan delivered Chain Conveyor paper machine for the UAE Paper Mill, they ordered this machine for their coating paper pulping line. So why paper making friends choose Leizhan paper machine in many supplier? What’s the advantage of Leizhan paper machine that other supplier don’t have? 1. Trough plate one-time impact stamping, strong and sturdy, strong impact resistance. 2. Equip hardened reducer, high safety factor. 3. On both sides of Chain plate has V-shaped plate, improve the transport capacity to ensure that impurities don’t slide to the wheel, improve service life. 4. The machinery fitted aft equip a chain plate elastic adjustment device to avoid afer use a period of time, the tightness changes lead to derailment off the rail phenomenon. Leizhan can supply a whole complete paper pulp machine, from pulper to approach system machine, all this can be available in Leizhan, we provide high quality low price paper machine with international technology, meanwhile we supply wrapping paper machine, tissue paper machine and cultural paper machine, If you have any need, feel free to contact us.